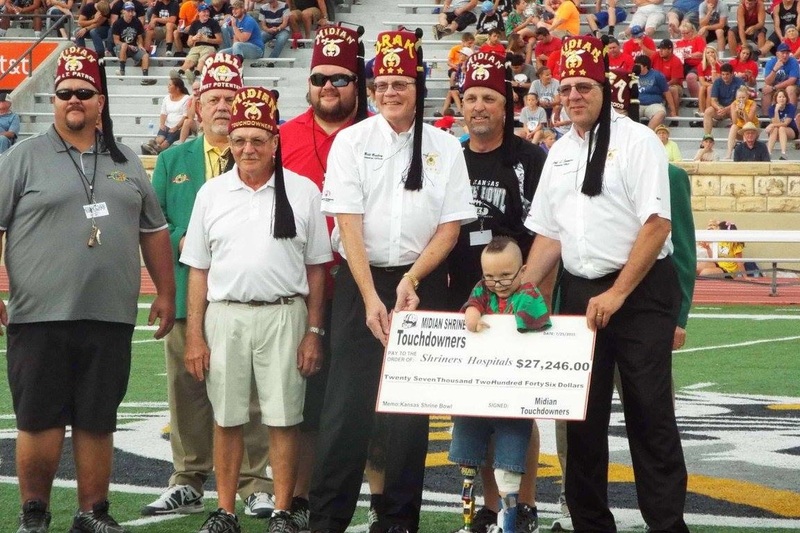 The Kansas Shrine Bowl has many opportunities for local and state-wide companies to gain exposure through being associated with one of the most prestigious charities around. The game is played in front 5,000 to 8,000 fans, broadcast state-wide on radio and TV and nearly every community in the state of Kansas is represented during the event in some way. The KSB is dedicated to catering to our sponsors experience and needs and in doing so we build long lasting partnerships and relationships. The game could not survive without the generosity of its many sponsors. All of our proceeds from sponsors and the entire game go to benefit the Shriners Hospitals for Children. 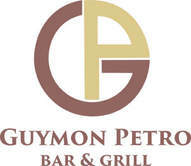 Call us and we will work with you to develop the best partnership possible! 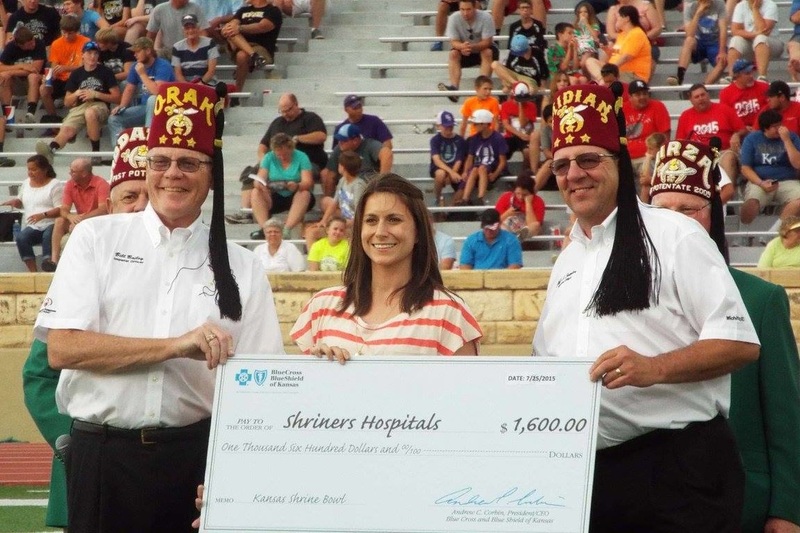 Join our growing list of corporate partners and see why The Kansas Shrine Bowl is a great investment!